Roch Valley Leather and Neoprene slip-on Jazz shoes with elasticated bindings. 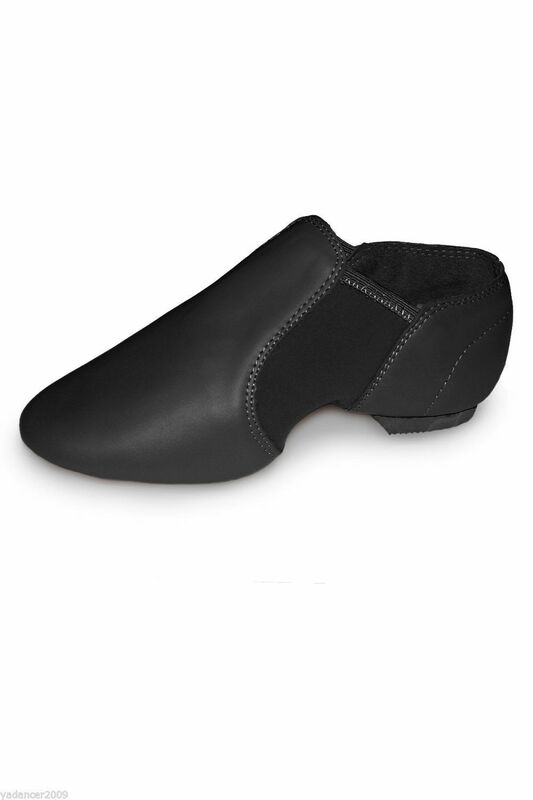 Featuring non-slip rubber split soles with neoprene arches, this comfortable slip on jazz shoe with soft leather uppers is designed to allow a full range of movement while providing the utmost support and stability. Perfect for a range of dance styles including Contemporary, Jazz, and Freestyle. This listing is for the BLACK option, also available in a natural FLESH colour, please see my other listings. These are designed to be very snug and should fit like a glove, the leather is very soft and will stretch with wear so in most cases you should order your normal outdoor shoe size. However, if you normally need to buy a wider fitting shoe or if you are buying for a child and would like to build in some room for growth then it may be worth going up a half or full size.